Old school Final Fantasy fans has 2 notorious titles releasing this month for Xbox One and Nintendo Switch. Final Fantasy X |X-2 and Final Fantasy XII: The Zodiac Age. 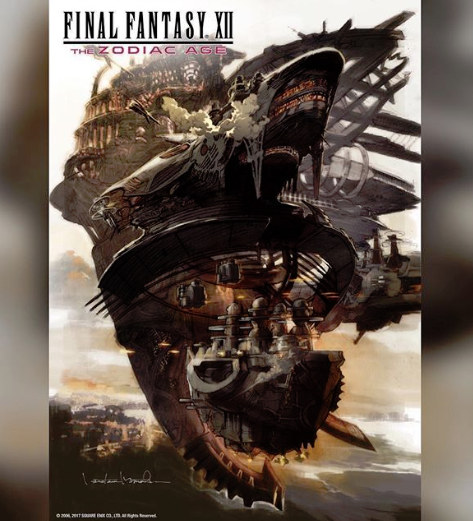 Square Enix has released what the reversible cover coming to all physical copies of Xbox One and Nintendo Switch versions Final Fantasy XII: The Zodiac Age will look like. The image was designed by art director Hideo Minaba and shows the Strahl existing the docking port of Rabanastre. Final Fantasy XII: The Zodiac Age launches this April 30th for Xbox One and Nintendo Switch. It's now available for PS4 and PC.